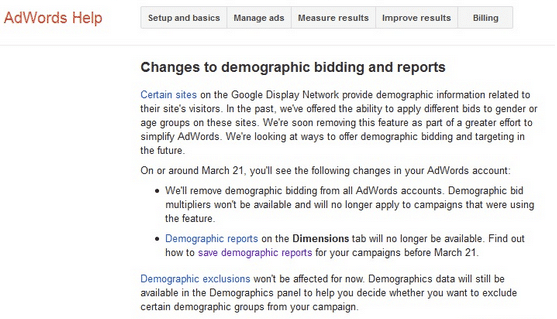 Back in 2008, Google announced their demographic bidding beta test feature in Adwords, only to be retired in March of this year. But just 6 months later, Google announced the return of demographics for Adwords, now found under the Display tab in the Adwords user interface (UI), if you have yet to take notice. Next you will need to choose an existing ad group that you are looking to edit. 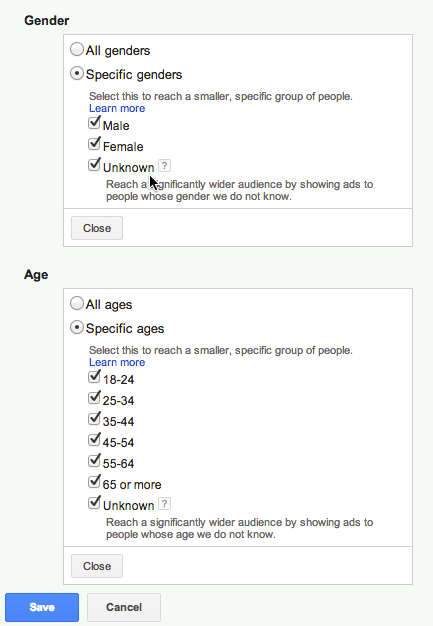 Lastly, click on the demographic (Age or Gender) you wish to edit, make your selections and save. As for bidding on demographics, you will have access to this on the Display tab after you have set up your first ad group. The UI will then show you each demo you setup as a separate line item with the opportunity to bid up or down. 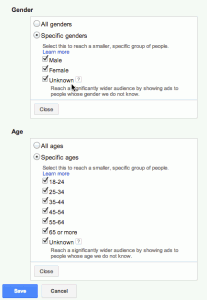 How does Google determine demographic information? When someone visits a website that is in the Google Display Network, Google cookies the user and then compares the types of sites visited with information from aggregated survey data on site visitation. 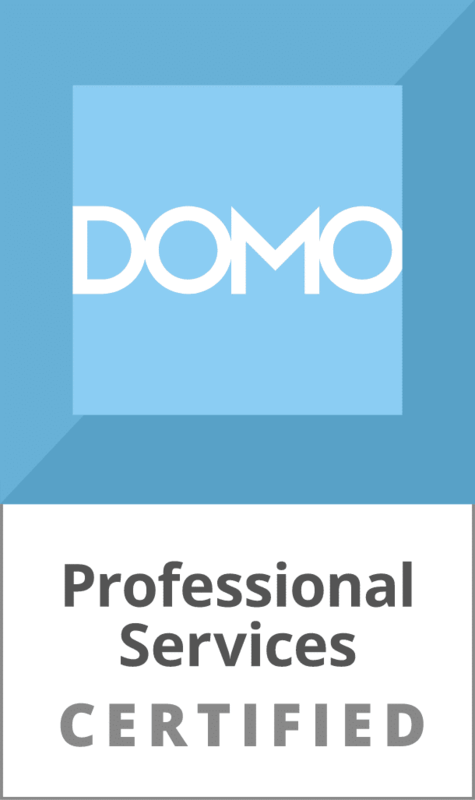 In addition, some publishers are providing Google with demo information that users have shared on social sites. Lastly, Google is likely using the data gathered on their own social site, Google+. Tip, don’t exclude the “Unknown” demographic category as this will likely prevent a substantial number of people from seeing your ads. Unless, you are in a situation where you have an extremely tight budget and a very specific demographic that you are targeting. If you are interested in more specifics regarding how Google determines demographic info check out this Adwords help article. By utilizing Google’s demographic targeting/bidding, particularly in conjunction with the wide range of display targeting already made available, you can increase the likelihood that your advertising dollars are reaching your business’ target audience. Let us know if you have any questions, by commenting below.